The personal tablet has become increasingly popular, but how to sort out the good alternatives from the bad? Some complaints with the iPad is the lack of multi-tasking (which is no longer a problem) and the expensive cost. Not to mention, it is hard to sync your iPad up with printer, and there are no USB ports. 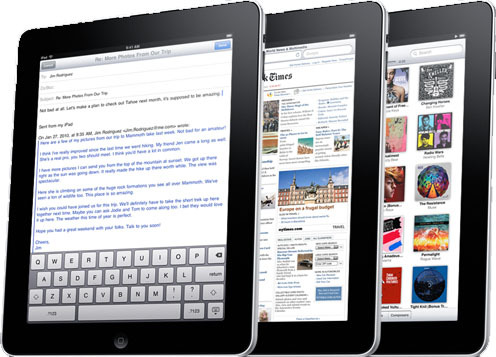 It is hard to find the best iPad alternatives without a little bit of background knowledge. These tablets are some of the most popular alternatives to hit the market (or hit the market soon). Most people are either a Mac person or a PC person. The iPad is obviously Mac. So, devoted PC users might be more interested in the Windows 7 and Android operating systems that are to come on the best iPad alternatives. With not a lot of tablets that are available for people to buy yet, the Archos tablet acts as the main competitor for the Apple iPad at the moment. Where the iPad lacks, the Archos tablet makes up for the shortcomings. There is a 9 in screen, 60GB or 120GB hard drive, larger hard disk drive, and a battery that lasts up to 5 hours. Although the battery lasts half as long as the iPad, it can easily and inexpensively be replaced whereas the iPad has to be completely replaced. The Archos tablet comes with 2 antennas and USB ports for only $549 for 60 GB. Not one, but two touch screens? The Toshiba Libretto acts as a sleek book that can be closed to protect the two touch screens on the inside. Toshiba calls the Libretto a "concept PC" and is pricing it around $1,099, which is significantly more expensive than the iPad, but much more functional (similar to a laptop computer). Complete with a 1024x600 pixel resolution, keyboard with haptic response, Intel Pentium U5400 CPU, it is a very portable device that rivals not only the iPad, but also completely revolutionizes laptop computers as we know. Only negative is that the touch screen is only 7 inches, but you get two. The Libretto looks very professional and portable and weighs a little under 2 pounds. Although the Dell Streak only has a 5-inch screen, it "measures" up to the iPad on other fronts. It has an Android 2.1 OS (with an option to upgrade to 2.2) and has over 40,000 applications available for consumers. Not to mention, it is a phone, web browser, and music player in one. Dell has engineered the Streak to be the perfect 5-inch size for the pocket. Reviews say that the Streak is user friendly, and for less than $500. Its memory can be expanded with a 32 GB card and it has a 5-megapixel camera. The Adam is better at hardware configuration and has a more efficient battery life--also its LCD works outdoors unlike the iPad. Adam has a 180-degree swivel camera that allows video conferencing. Adam has 3 USB ports and uses a tenth of the iPad's power with a 24 hr long battery. It has a 10 inch screen, runs on an Android OS, allows for multitasking and flash, has an SD card slot and costs from $327-$800. Did we mention that it is in full HD? The Adam shows that Apple isn't the only one who can reinvent technology. Often referred to as the "iPad Killer," the ExoPC Slate is a tablet PC-netbook PC combo with a Windows 7 OS, 32 GB memory, 8.9-inch multi-touch screen, webcam, and full browser with flash support. It also has an Ethernet port as well as a way to hook up your bluetooth. What distinguishes the ExoPC Slate from the iPad is the smooth keyboard. The iPad has had many complaints with its sticky keyboard that is inaccurate and hard to type on, but it is smooth sailing with the ExoPC's virtual keyboard. The JooJoo was released the same weekend as the iPad, has a slightly larger screen, and has a remarkable browsing experience. Although it is wider and heavier than the iPad, the JooJoo has a larger screen, but there have been complaints with the responsiveness. 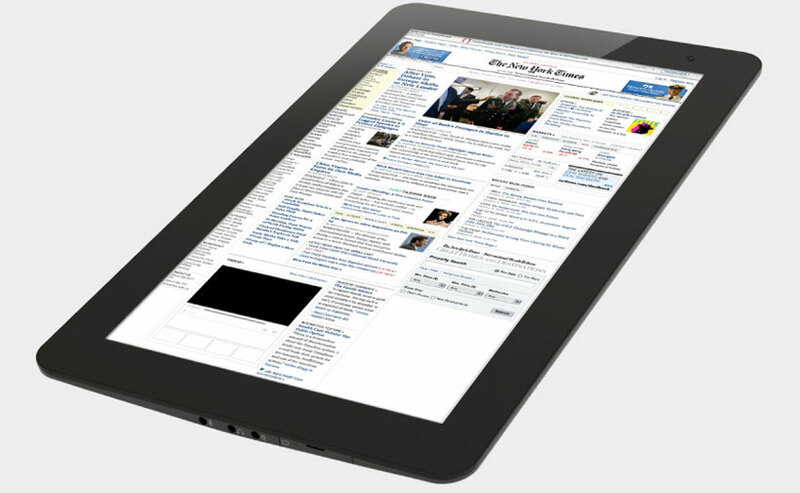 The JooJoo is created for the same purpose as the iPad: to browse the internet. However, the jury is still out about whether or not the JooJoo is better than the iPad at performing the exact same tasks. 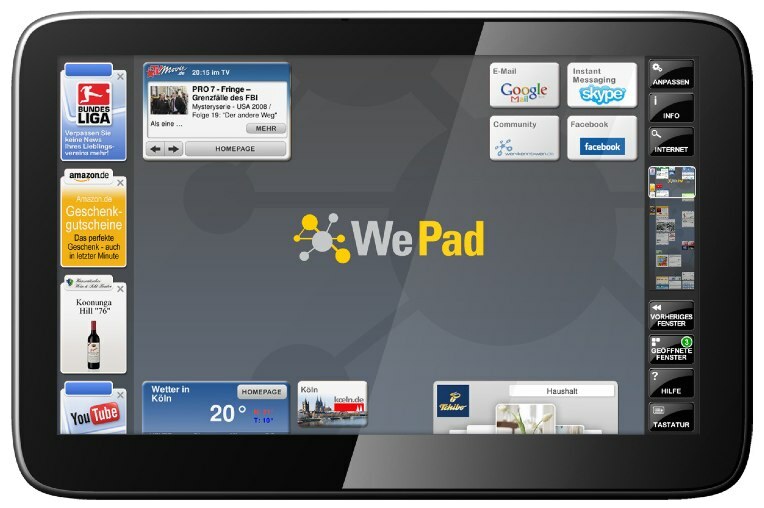 The WeTab is a German alternative to the iPad. It will have an 11.6 inch screen and the price will start around $575 for the 32 GB version. It has a resolution of 1366x768 and supports Wi-Fi, bluetooth, and has a 1.4 megapixel camera. The WeTab requires no software to play music (as opposed to iPad requiring iTunes) and supports flash for easy internet browsing. Lenovo tries to make up for what the iPad lacks. It appears to be more like a laptop, but prides itself on multitasking for basic drag and drop properties, flash support, HD ready screen, and a detach-and-converge design that allows users to disconnect the screen from the keyboard to use like someone would use an iPad. The OS is Windows 7 Home Edition, and when detached, the Skylight runs on a custom Skylight OS developed by Lenovo (built on Linux kernel). It is truly multi-functional and versatile for users. It is like a laptop computer and tablet in one. However, one speculation is about the two separate operating systems: would you be able to access your information from Windows 7 OS? Although the HP Slate looks nice, it is more expensive, has slower Wi-Fi and a less-productive battery than the iPad. Nonetheless, it will have two cameras and USB ports. Microsoft does not take into account overall usability. Instead the HP Slate prides itself on specific specs as opposed to the whole experience of using it. However, this is not to say that the HP Slate is a total waste. It has been developed to run on Windows 7, which will appeal to the loyal PC-users. It has an SD card reader and a faster processor than the iPad. Our verdict: With the technology available now, the ExoPC seems to be the best iPad alternative. It has a Windows 7 OS and the same (if not better) functionality as the iPad. However, with its 24 hour long battery life, the Adam Android looks like a fantastic alternative as well.